When Landon McNellage, a sophomore in the Auburn University College of Sciences and Mathematics, moved to Auburn from his hometown of Saraland, Alabama, his goal was to study to become a pharmacist. His plan soon changed and Landon has taken advantage of the opportunities that COSAM has to offer as much as possible. After spending time working in a pharmacy, Landon said he knew the job wasn’t for him. He soon switched his major to Biomedical Sciences with a pre-med concentration and is working towards a minor in Spanish. Although unsure of his specific career path, Landon is considering a career as an orthopedic surgeon. “I like that you get the chance to be with the student athletes, be around high school students as well as older patients,” he said. After beginning his COSAM education, Landon said he felt something was missing. That’s when he decided to declare a minor is Spanish. Landon said he loves Spanish culture and feels speaking a second language fluently will be beneficial. “I felt like it was relevant and that it was important to be able to not have a barrier with my future patients,” he said. 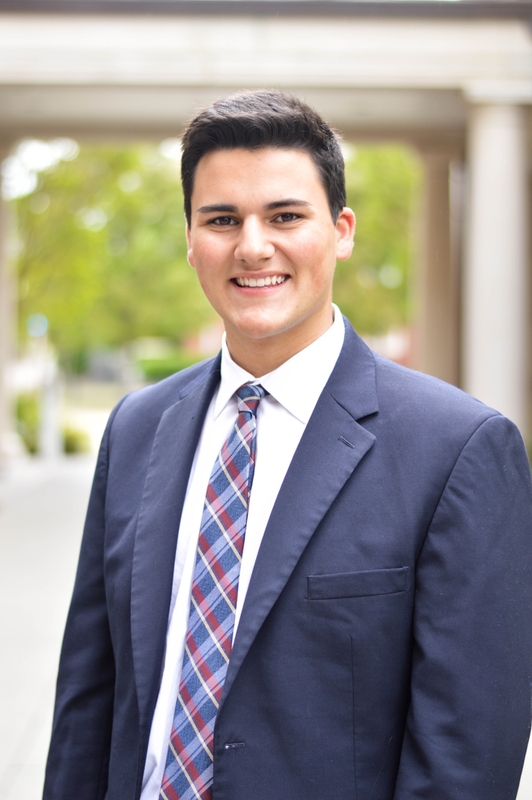 One recent opportunity Landon has taken advantage of was running for the Student Government Association’s COSAM School Council position for president. Schools Council serves to create fellowship among individual councils and to give each school or college a voice within the Student Government Association. Landon was excited to win the position. Since taking the position last year, Landon has helped host workshops for organizations throughout COSAM, and has put inclusion and diversity at the top of his agenda. “It’s been a really amazing opportunity,” he said. Another opportunity Landon said he is excited to take advantage of is becoming a Camp War Eagle Counselor this summer. As a first-generation college student, Landon said he benefited so much from the Camp War Eagle experience. “Because I was first-generation coming here and I knew like three people, I wanted to be someone for another student like me,” he said. Landon also works in the First Year Experience Office and as an undergraduate assistant conducting research with the School of Pharmacy in the Drug Development and Discovery Lab for Alzheimer ’s disease. He has also been inducted into the National Leadership Honor Society Omicron Delta Kappa. Landon said the way he has thrived since becoming a COSAM student is through becoming involved everywhere he had the opportunity. He said involvement would be the best advice he could give to a beginning COSAM student. Student Government Association’s COSAM School Council President Landon McNellage.